Best VPN for Windows will help you encrypt your online activities and also help you to unblock websites blocked by either your ISP, Government and Network Administrator may be in office, universities or the country you are currently residing. Windows users especially want ease of use while choosing the right VPN. We are here to present to you some of the best VPN for Windows that has good encryption with a faster internet speed as well as user friendly user interface so that you can enjoy both the advanced security and ease of use functionality by using the same VPN. Windows users just need to install the VPN software and forget if they have enabled the auto-start features. Unlike Linux users, who may need to configure their VPN application for the first time they are using by giving commands from terminal. They also need to start VPN manually. Mircosoft’s latest Windows 10 version was released last year and soon after lots of controversial privacy concerns have been brought into the attention of the general users. Windows 10 aggressively tracks users activity and with the integration of personal assistant “Cortana” now Windows 10 has the full control over your Operating System (OS). For this reason, Windows 10 users are told to take their privacy seriously and use privacy tools as much as they can. Well, a VPN plays an important roles in here, because a Good VPN will encrypt your online activity and thus protects your privacy. Windows users may become overwhelmed because there arer so many VPN for Windows out there. Which one you should choose? What are the factors you should take into account? Well, first of all, you need to look into the security of the VPN software that they are promising. It means strong encryption. Secondly, you will need to look into the price. A VPN with numerous VPN server location and top notch speed may cost you bit but it will ensure high speed browsing and downloading speed. High streaming speed will ensure you seamless playback of HD videos. Last but not the least, you may also need to make sure your chosen VPN for Windows supports torrent and P2P file sharing, has DNS leak protection , ipv6 leak protection. Windows is infamous for its DNS leak that may leak the user’s physical location to the sites that you visit. This VPN for Windows is based in Hong-Kong which ensures your data will never be on the hand of any Govt. Agency or Copyright holding companies. It has really simple user interface with lots of features intact. Ivacy is the best known for its capability to handle High Definition streaming. Lots of VPN protocol support means you can choose the one that meets your need. In our testing, Ivacy vpn showed significantly lower latency delay which is very essential to browse faster across sites. If you torrent a lot then you can choose IVACY blindfolded. IPv6 leak protection and DNS leak protection are some of the features that attracted many security enthusiastic to choose this VPN over other competitors. Now coming to the price: IVACY VPN gives you the lowest monthly subscription price if you choose to stay with them for 2 Years. They are so confident in their service quality to give you 7 days money back guarantee with no questions asked. You can pay using PayPal, BitCoin, and Credit Card etc. This VPN for Windows gives the blazing fast download and upload speed. Also it supports torrenting and P2P downloading. The thing that impressed us is the download speed optimization technique imposed by PureVPN which can enhance upto 21% speed if the file’s server location is closest to the PureVPN server. 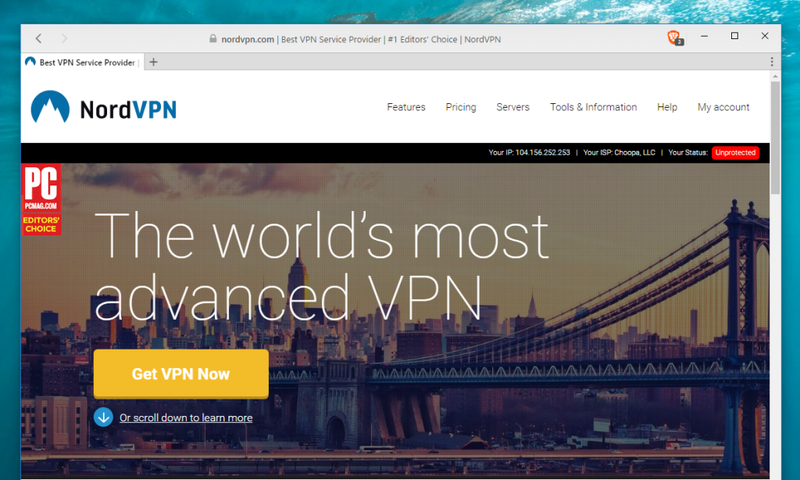 Some of the features that make PureVPN the number one VPN for Windows is its Internet Kill Switch and DNS leak protection. Internet kill switch will drop the internet connection if it detects that somehow your VPN connection is dropped. This is very useful if you want to avoid unexpected IP exposure. Also Windows users suffers DNS leak and this VPN has built-in DNS leak protection. You can visit any website without worrying about exposing your physical location. It supports a wide range of OS as well as Windows.It has VPN App for Windows, MAC, Linux, Android, iOS, Blackberry, Routers, Google TV ,Apple TV, BoxeeBox, Roku, Xbox, PlayStation, and 20+ more OS and Devices. If you stream a lot of movies/ TV Shows with 1080P or 4K resolution then PureVPN is the perfect choice for you because it has smart purpose selection system so you can tell it that you are going to stream now and it will automatically optimize its connection and connect with the fastest servers for streaming. Although the price of the monthly subscription is a bit higher than its peers but it is compensated by their top quality dedicated servers. And its bi-yearly price is a true deal-breaker. This VPN for Windows has the highest number of VPN servers, you won’t find this much servers in any of the VPN out there. Private Internet Access truly makes your internet browsing a private entity so that none can snoop on your online activity. This VPN appears most of the “Best VPN list” because of its high secure servers. This is the perfect VPN for Windows users as it’s user interface is very friendly and doesn’t need much time to connect with the fastest servers. It’s Windows client uses very little resources and doesn’t lag your internet connection. If you use Public Wi-Fi often then you should definitely protect your banking information by connecting with Private Internet Access which has an exclusive feature called Secure Wi-Fi that encrypts every data sent or received by your Windows PC/ Laptop so eavesdropping is impossible. Now if you look into the price, private internet access has the lowest monthly subscription fee. IF I were you, I would definitely choose the yearly deal. You can also choose the 6 months plan if you don’t want extended commitment. NordVPN is one of the very few vpns that give you double vpn feature. This takes anonymity to whole new level by encrypting your internet connection to two levels. Video streaming and browsing using NordVPN gives you the feel of riding in an F1 racer (kidding) , but seriously this VPN has super fast servers everywhere. It doesn’t save any logs whatsoever and has internet kill switch feature so that if you disconnect your VPN and later forget about it and start downloading whole bunch of torrent files it will save your day by not allowing specific software to use internet if VPN connection drops. Windows users can now avoid DNS leak by using NordVPN’s own DNS servers. Now I want to draw your attention to its exclusive “Smart Play” feature, this is enabled by default to give the users streaming optimized VPN experience. It also uses Onion over VPN i.e. Onion router for extra security. With NordVPN your privacy and security is ensures. Every great thing comes with a price, right? NordVPN has competitive pricing option. It costs cheaper if you accept long time commitment. For example, if you buy one year plan that will cost you only 5.75$ per month. 6 month plan also cheaper , it is only 7$ per month and if you don’t like any of that you can get the monthly subscription with just 11.95$ per month. Did I tell you that NordVPN gives 30 days money back guarantee? Try this VPN and if you don’t like you can always get your money back. Can get around any online censorship imposed by Govt., employers, universities etc. This VPN is the perfect choice for Windows user because of its user friendly user interface. You an access any websites and media without restriction while you are on IPVanish, Your ISP can’t track or throttle your internet connection if you use Torrent and it prevents you from getting hacked while using public Wi-Fi. You can also avoid Geo-restrictions. IPVanish also works in Windows 10 and encrypts your internet connection so that no one can track your online activity. For privacy concern, this VPN does not save logs. It’s performance is very satisfactory and gives blazing fast download and upload speed. All VPN server support torrenting and gives pretty fast speed. It has 24/7 customer support. This VPN for Windows costs only 6.49$ per month with one year subscription. You can use it’s VPN app on Windows and it works without any hassle. 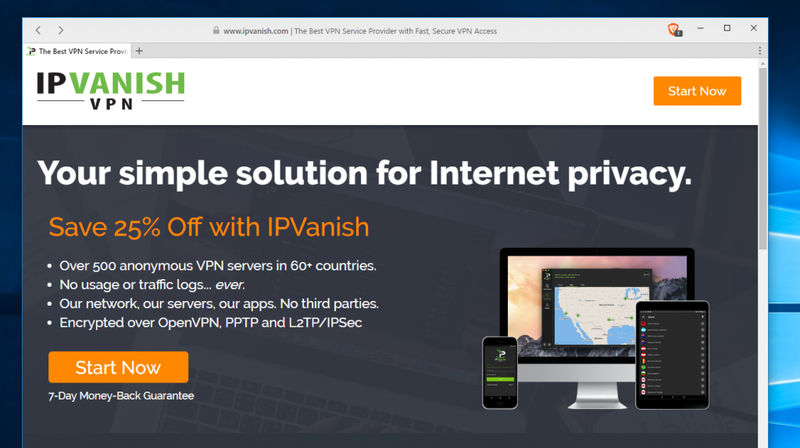 IPVanish VPN for Windows is featured in many online portal including TechSpree and LifeHacker. 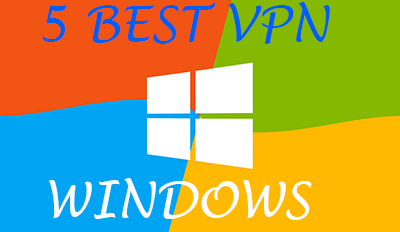 In this article we have featured top 5 VPN for Windows. We have tried to emphasize on the download speed and security. Using a VPN for Windows is the first step any netizen can take in this advanced technology era where online surveillance has become a NORM. Those VPNs provide you top-notch security and protects your online activity. We ensured that the VPNs that we included here do not save users browsing logs and/or personal details like emails, address etc. VPNs for Windows like PureVPN or Ivacy can be a bit pricey but if you can afford the price we highly recommend using them because it is very important to protect your privacy and avoid any kind of snooping on your data by your Government, ISP, Employer, Land Lords etc. Using a VPN gives you the power of true anonymity, helps you avoid Geo restrictions, safeguard your online activity. Connect with a VPN and be FREE. I’m a Nord user for almost two years. I think you made a mistake about the number of servers they have. On their website it says there’s 5098 servers in 62 countries which is more than enough imho. The Windows app works smooth, it’s been improving, the UX also really improved since I first signed up. Another very important thing is the price. Basically it’s pretty darn cheap while it provides a service of a top notch provider. Indeed! 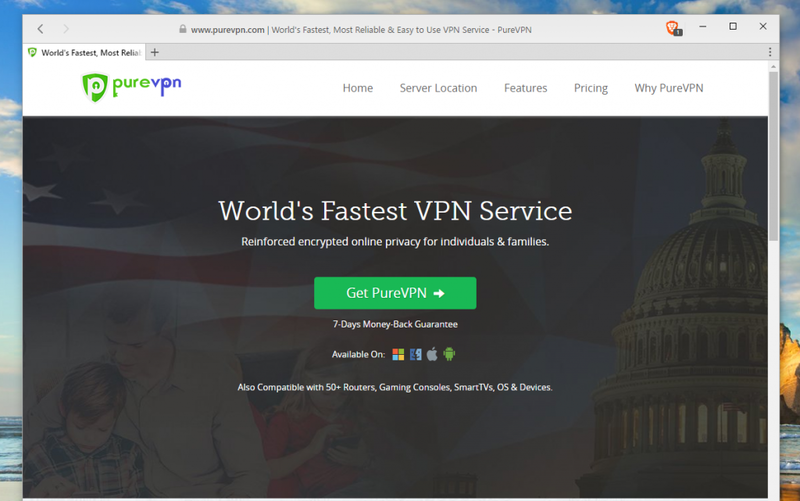 PureVPN is the best among all the VPNs in the industry. I have been using it for 2 years now and in the last 2 months, I have seen major improvements in bugs and disconnectivity issues. It works very smooth with Netflix as well.